It’s the bill that everyone hates, but we just cannot do without it. The dreaded cable bill which can cost $80-100 every month, and according to The NPD Group could rise to $123 monthly by 2015. 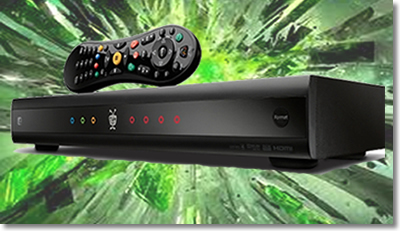 An eye watering $1,476 yearly for hundreds of channels that never get turned on! So what can you do? There is always the popular (and growing) trend of cord cutting. But it is not an option for everyone, and for the latest cable TV episodes and sports fans, they just have to keep cable. But paying for that TV programming can be reduced, and we will show you how. The secret is to talk to your cable or satellite TV provider, and tell them you plan on leaving (or even worse), switching to an alternative pay-TV provider. Cable companies are just like many other commercial operations in that they need new subscribers which is where they concentrate all their efforts. But the good days for cable are in the past, around 55 million homes are currently paying which is 17.6% lower than the previous decade, and falling. Existing subscribers are left alone, no new deals are talked about and they just hope you will stay with them forever. But they will son take notice if they think you are leaving, so the first thing to do is give them a call. Every cable company has a department that deal with customers threatening to leave, so threaten to leave. You will find that you get a lot of attention, you may be offered a lower rate or a special deal/offer. If you find you are getting nowhere and they don’t want to play ball, then call other TV providers and see what they will offer. In other words be prepared to call their bluff and leave if need be. But in my experience this never happens. Other options to lower your bill include looking at the package your paying for and drop it down a notch. Are you paying for additional boxes? Plug an antenna into that TV and just have a single main TV carrying cable. You can always route from your cable box around the house. If you are not so concerned with sports and don’t mind waiting to catch up on your favorite show, then cutting cable out altogether is a good option. You can watch a massive amount of content online for just a few bucks each month or even for free. It is easy to hook up your console, smart DVD or PC to your TV set or use one of the many streaming boxes around or a smart TV. For more information and advice just check out our cable cutting guide right here.